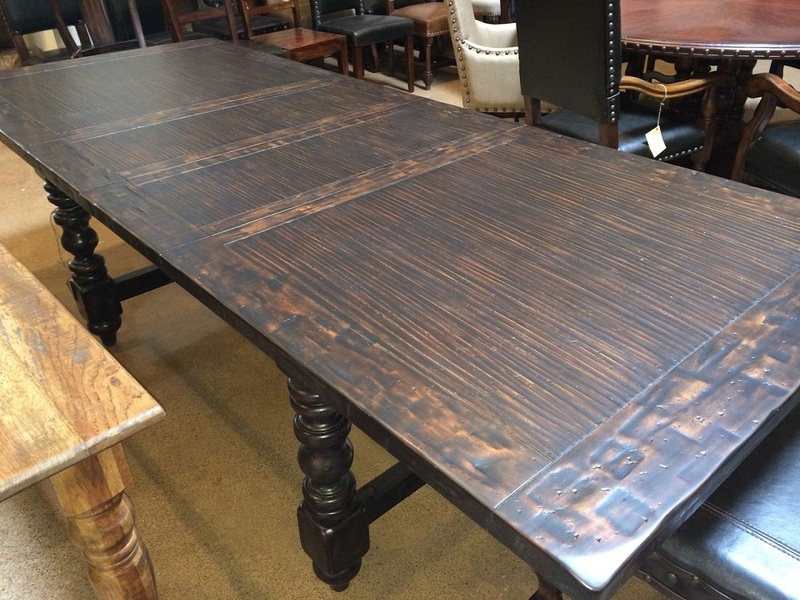 Extra Long Extension Dining Table - Dark Rich Old World Finish! Two 18 inch leaves can be stored inside the table. The table extends using engineered gear extenders.